For you new readers: I am a member of Faithful Finish Lines an online faith, fitness, food, mission, and fun group. I’ve been a member since November 2014 and have had the time of my life. Every 7 weeks we set a new fitness goal to be done during the 7th week. 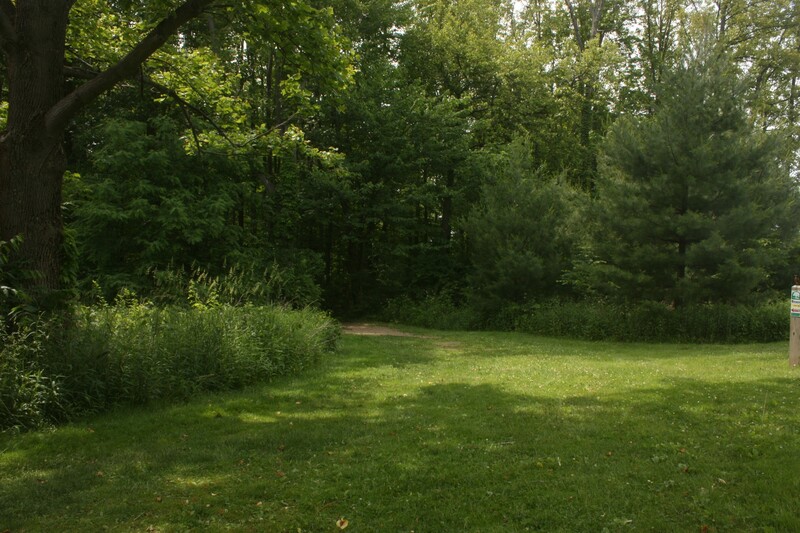 Earlier this year I came up with the idea of Tour de Parks – walking one park in Northeast Ohio every weekend. There were a lot of weekends weather and illness cancelled the walks, but this 7-week period has been a success. I only missed one walk and that was 2 weekends ago when I stepped on a bumblebee in my garage. Exercise is important in recovering from grief. The endorphins help with your mood which helps you beat up on the grief monster. I wish this group existed when I first became a widow, the encouragement is awesome and it holds me accountable for my goals. When I fail, the members are full of grace. I just pick myself up and move forward. And now on to this past weekend’s walk along the shores of Lake Erie. 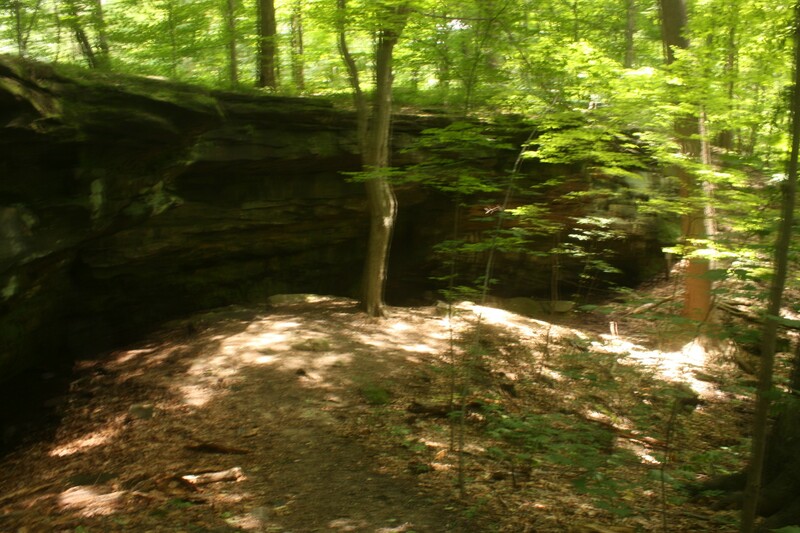 Princess Ledges Nature Preserve is located in the northern end of Brunswick, OH and is part of the Medina County Park System. I took a picture of the sign at the park which explains the history, but it did not transfer from my camera to my computer. The former land owner’s daughter was named Princess and she use to like to play on these ledges so the park was named after her. Are you ready? 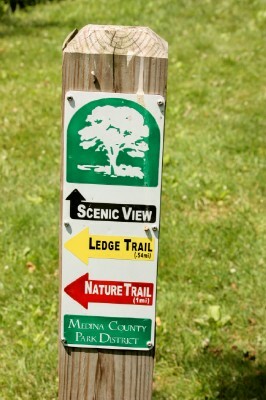 We will be following the yellow ledge trail. Taking pictures in the woods is challenging because I am learning to shoot in manual mode and sometimes the pictures come out a little blurry and finding the right exposure has proved to be challenging. Now I know you are wondering “Where is Lake Erie?” It is about 20 miles north of here but if you lived thousands of years ago these ledges would be Lake Erie’s shores, according to the Princess Ledge’s website. I take “selfies” of me doing these walks but am having trouble downloading it from my phone. I will publish them at a later date once I get a new transfer cable. Now get out there and walk a park where you live. Stop and really take in the sights, sounds and smells. This is great! Thank you for the mini-vacation. Exercise indeed does help grief…and it helps in dealing with serious illness. When I got sick I was still “operationally fit”, which was something close to the Olympic level (if you have to run for your life, you should be able to run FAST!). It meant, in the pithy words of a doctor, that I had farther to fall. Not sure if having farther to fall is a good thing or a bad thing. Glad you enjoyed the mini-vacation. Will have another one for you next week unless this sore throat turns into something worse. Just developed it today. UGH! Sorry about the sore throat! Try hot lemon juice sweetened with honey.